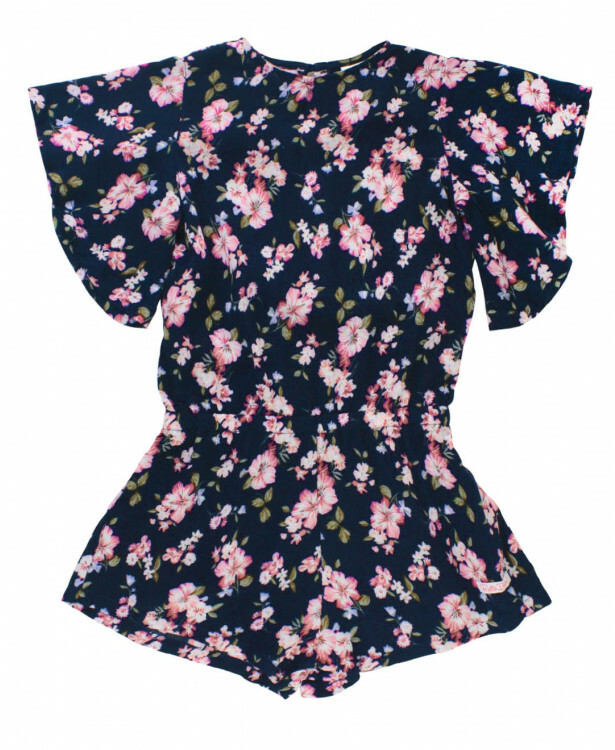 RuffleButts Blooming Navy Romper | Shop Trendy Spring Fashion for Girls at SugarBabies! Your little girl will look so trendy and chic in this flowy romper. Perfect for warm weather, this romper can easily be dressed up or down. Pair with sandals for a fun summer look!